China’s methanol industry continued to expand in 2018, but the pace slowed down compared with that in 2016 and 2017. China’s methanol market performance in 2018 was better than expected, affected by frequent domestic unit faults, delayed delivery of imported cargoes and the depreciation of RMB. As for the downstream, the MTO industry contributed most to the demand growth. Besides the environmental protection and safety inspection, the production cost was still one of the major influencing factors for the downstream industries. In 2018, the methanol market fluctuated widely amid the game between supply and demand. China’s methanol supply is still increasing, while the growth of traditional downstream industries has slowed down. Whether the supply-demand imbalance can be eased in China’s methanol market? There are some newly added units scheduled to go into operation in the U.S. and Iran, so what changes China’s import market pattern will have? Besides the MTO industry, what other downstream industries can bring new demand growth? 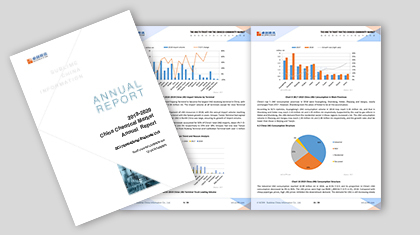 2018-2019 China Methanol Market Annual Report will help you find the answers to these questions. Based on comprehensive and detailed data, SCI 2018-2019 China Methanol Market Annual Report makes a deep analysis on the methanol market as well as its upstream and downstream industries. The report not only makes a review of the methanol market in the past but also gives an outlook of the market in the next five years so as to provide reliable references for the customers to judge the market.